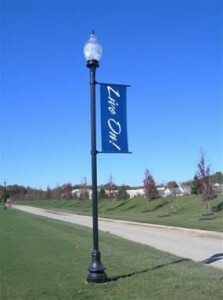 Otto’s Streetscape Solutions is a distributor and installer of many light pole systems. Are you interested in consistent appeal throughout your community? Compliment your decorative mailboxes and street signage with light poles to match. Our staff can review options with you to determine a system that meets your budget and creates the distinguished setting you desire. Call us today for an estimate and quoting options for signage on your next street light installation project.